Confession: I LOVE productivity tools. Something about the color coding, categories, lists, and checkmarks gets me all hot and bothered. They are like the vineyards of task management. Organized yet organic. Each item slightly unique, but grouped in like columns and rows. Is it the Virgo in me? Or am I just a goddamn freak? But most importantly, does my love for productivity tools mean I am ACTUALLY more productive? And that’s why I’ve tried so many of them. I could color code for days, but truth is, if I’m not getting anything done I’m not making any money. Here, I break down which ones really work. There are a TON out there, but I’m focusing on my three favorites: Kanban Flow, Asana, and Trello. I used this one back in my startup days and was introduced to it by a very talented graphic designer friend of mine. As you may imagine, it’s visually sleek and minimal – but not minimal on function. It does A LOT and what I love most is that you can attach files to each project. It also works great if you’ve got multiple users and/or a team working on things. People can comment, assign, and team members are alerted via email when they’ve been tagged. There’s also a nifty app that does pretty much everything the desktop version does – anything you’d need done while running around swiping on your phone anyway. Not Great For: Individuals (It almost does TOO much if you need to just manage your own workload). This one is my absolute favorite! It looks a little rudimentary and I have a feeling that die-hard Mac users may not like it. However, the functionality is just right in my opinion – not too many bells and whistles. I love that colors are muted, but vibrant enough for you to clearly differentiate between tasks or categories. 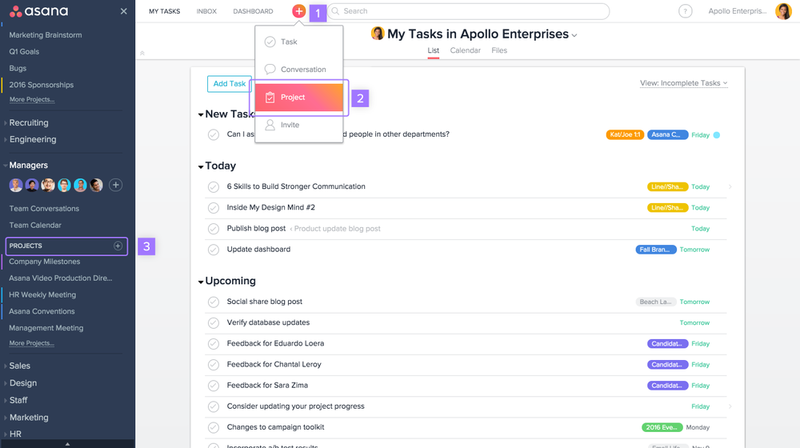 As a result, the entire task block is a particular color (vs. the small dots in Asana). Kanban works in columns named: To-Do, Do-Today, In Progress, and Done. You can of course customize these, but I think the defaults work really well. I added one called “Waiting” and I keep it collapsed to signify projects where I am waiting for assets, approval, etc. Within each task, you can add sub-tasks, a description, a due date, and even a timer (which is really useful). Note, that for the timer, your hours can’t be exported to a spreadsheet so this isn’t the best solution when tracking hours for payment purposes. It also has a Pomodoro timer for those of you that ascribe to the famous tomato-based method. Tasks are dragged between columns, eventually making their way to the “Done” column. I have to say this “dragging to the right” movement makes the whole thing feel like a game. The goal obviously is to move all your “Do-Today’s” to “Done,” and you adjust the due dates in order to accomplish this. This ensures that accountability for the deadlines on every project. You can also limit the amount of tasks in each column to prevent over-assigning yourself. On that note, another cool tool is the “Time Estimate” field. It’s not required to fill this out (nothing is required actually), but it does help you be realistic about how long it takes to do what. This exercise has changed my life as a freelancer, but more on that later. This one is very similar to Kanban in the “dragging” motions used to progress your tasks. With Trello, you enter tasks on different cards and organize them in columns. There is color coding, which is indicated with a small bar. It’s more subtle than Kanban, and I can’t say I love this. Definitely a personal preference. The same goes for the text, which is a lot smaller than Kanban. At a 100% view, Trello is at what feels like 8 pt. font, and Kanban is at 11-12pt. Seems inconsequential, but if you’re on the computer a lot, it gets to be pretty major. What Trello is great for is planning your social media posts. As you may know, using a scheduled bulk posting tool like Hootsuite messes with your engagement. It’s best to post organically (meaning manually, WITHOUT a tool), and Trello helps to streamline just that. Upload your post image, type in the body copy (complete with hashtags and @ tags), and schedule it. Download the Trello app, and on the day your post is scheduled, you’ll receive an alert on your phone. Then download your image, copy the text, post, and that’s it! A good strategy is to spend an hour on Trello and plan all your social media out for the week, month, or whatever. This includes uploading all your pics, writing the copy, and scheduling. From there just let the app take care of the rest. Have you guys tried any of the above? What’s your experience been and what are your favorite productivity tools? I’d love to hear from people who use Pomodoro. Am I doing it wrong? That tick-tock annoys the sh*t out of me, and just when I feel like I’m in a flow – beeeep, I have to stop. Also been wondering about Dubsado. That one’s more of a CRM, but I’d love to hear what you think anyway!